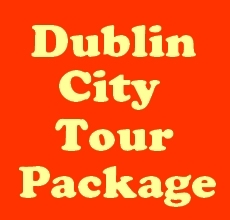 Double Room B&B plus City Tour. Room amenities include - Complimentary Wi-Fi, Multi Channel LCD Flat Screen TV, Complimentary Tea & Coffee, En suite Shower Room, Power Hairdryer, Clock radio. Complimentary car parking (please book in advance).